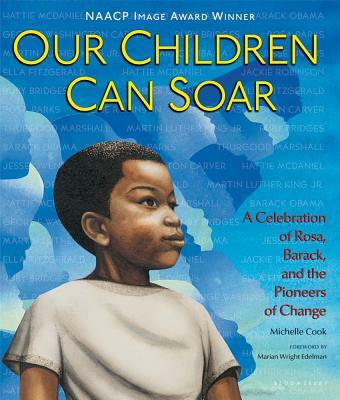 James Ransome is the acclaimed illustrator of more than twenty books for children, including The Creation, for which he received the Coretta Scott King Award for Illustration. He lives with his family in upstate New York. Shadra Strickland, an Atlanta native, studied illustration and design at Syracuse University and earned her M.F.A. at New York's School of Visual Arts. Her first book, Bird, received the Coretta Scott King John Steptoe Award and was a Kirkus Reviews Best Children's Book. She currently resides in Brooklyn, New York. Frank Morrison was born in Massachusetts and then moved to New Jersey. He grew up during the early days of rap music, graffiti and break dancing. He was a well-known graffiti artist and an accomplished break dancer who was part of the Sugar Hill Gang's dance entourage. It was during one of the group’s European tours he got a chance to visit the Louvre in Paris and was so intrigued by the magnificent art that he decided, at that moment, to return to his roots and become an artist. Frank today enjoys the attention of art galleries nationwide, and is the recipient of a Coretta Scott King/John Steptoe New Illustrator Award for Jazzy Miz Mozetta by Brenda C. Roberts. The artist, who works in watercolor and acrylic, makes his home in Georgia with his wife, three sons, and daughter. Pat Cummings is the illustrator of more than thirty picture books, many of which she has written herself. She is a Coretta Scott King Award winner, whose books include Ananse and the Lizard and Angel Baby. Ms. Cummings teaches at Parson's School of Design and lives in Brooklyn with her husband. E. B. Lewis won the 2005 Caldecott Honor Book for Coming On Home Soon by Jacqueline Woodson and the 2003 Coretta Scott King Illustrator Award, for Talkin' About Bessie by Nikki Grimes. Mr. Lewis teaches illustration at Philadelphia's University of the Arts. He lives in Folsom, New Jersey.